Alligator tape is essential for jewellery making and all kinds of craftwork. You simply wrap your fingers in the tape to protect your fingers from minor cuts, abrasions and burns. It's a workshop staple, which so many jewellers just couldn't be without. Find out below why this tape is a must-have and watch our video on how to use the tape to keep your hands safe. Unlike finger protectors, alligator tape offers great grip when sawing, buffing, sanding, grinding, polishing and stone setting. The tape is thin and flexible, making it a great alternative to gloves or finger protectors. It gives you great dexterity and sensitivity compared to other protection - you can actually feel what you're doing. This magical tape only sticks to itself and leaves none of that horrible sticky residue we all hate. 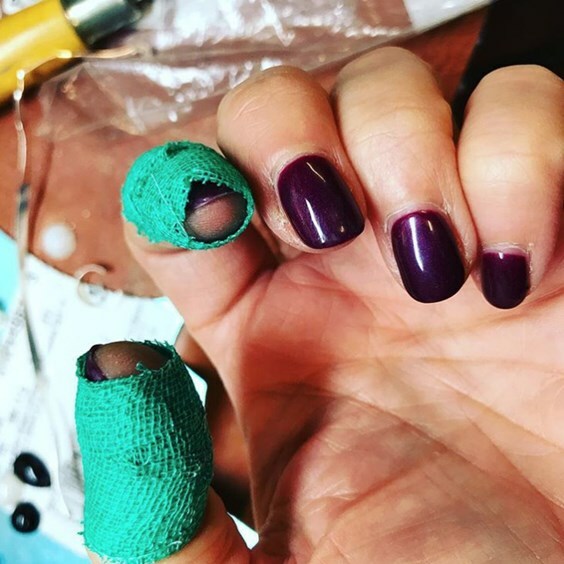 We all know how much jewellery making can affect our beautiful nails! This tape will stop your nails from being filed, chipped and broken. Also stopping your fingers being ingrained with dirt. The tape will last all day long while you're busy making jewellery and once you're done, it's so easy to pull them off. You can even re-use them if you want to. It's so annoying when you lose the end of the alligator tape, so the best thing to do is fold the loose end over so you can get going next time you're in the workshop. Watch Our Alligator Tape In Action! 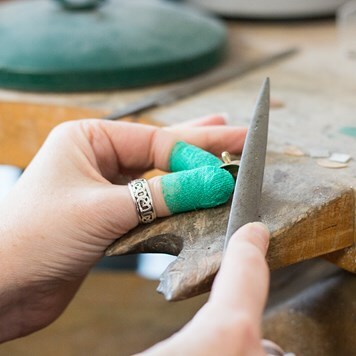 Hear from the jewellery makers who love using alligator tape to protect their fingers while at the bench!